For years I have been intrigued by how language and culture influence each other. I often address this relationship with international teams, many of which strongly relate to this subject, particularly if their members are multilingual. But what does it mean in business? How does language affect us, especially when the communication is between native and non-native speakers of a common business language? And ultimately: how can we use learning and development interventions to leverage the language and culture connection? A story that is especially intriguing and relevant in this context is the study that was done over a five-year period following a far-reaching decision by the Japanese e-commerce giant Rakuten. In March 2010, CEO Hiroshi Mikitani, decided to make English their common language company-wide. The most important reason for this mandate was to speed up the process of global expansion. Today, in 2018, we can assess that this goal was absolutely achieved! In The Language of Global Success Tsedal Neeley, associate professor at Harvard Business School shares her insights from her deep-dive into Rakuten in terms of the consequences from this decision on communication and collaboration. She interviewed 650 employees in Brazil, France, Germany, Indonesia, Japan, Taiwan, Thailand and the United States in addition to the data gathered from more than 3000 surveys. Linguistic Expats – who live in Japan but give up Japanese in the workplace. This group was most fearful at the start. However, they soon discovered new opportunities after they started to gain English fluency. 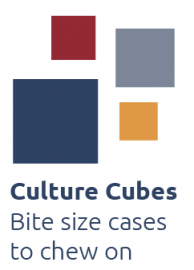 Cultural Expats – native English speakers. This group was most hopeful about their professional chances, but had more difficulty than expected. After language barriers were largely removed, the Japanese values grew stronger throughout Rakuten’s other geographies. Something the native-English speakers had not anticipated. Linguistic Cultural Expats – who are native to neither English nor the Japanese culture. 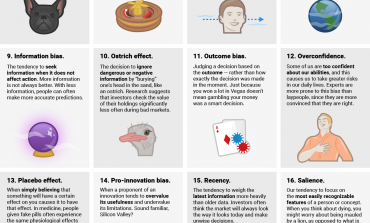 This group unexpectedly fared best because they were most open to learning and least resistant to change. From a Learning & Development perspective, each of the above groups needs tailored support in order to communicate and collaborate in the best possible way. Developing awareness of which ‘expat community’ people belong to, helps translate into solutions for the right learning opportunities. For the linguistic and the linguistic cultural expats the priority would be acquisition of English language skills through a variety of means like classroom education, e-learning, tutoring, full language immersion training, or living abroad experiences. In addition, it is very important that people receive continual messages why a common language matters to the organization, while role modeling and positive reinforcement from managers is key to make people feel confident and motivated. The cultural expats should experience the challenges for non-native speakers to understand the necessity to dial down their speed and difficult expressions in order for less fluent speakers to be heard. 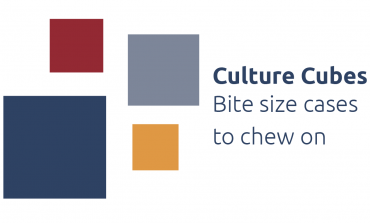 In addition, they need to understand how culture is expressed in language and how language can be a transmitter in shaping a corporate culture. The linguistic cultural expats can use their advantage by bridging the gap between linguistic and cultural expats. They are often able to be the catalyst in explaining and reconciling different experiences and viewpoints. By identifying the various language expats grouping, managers and organizations can understand the development needs of different employees and tailor programs to help build a successful and long-term shared language culture. 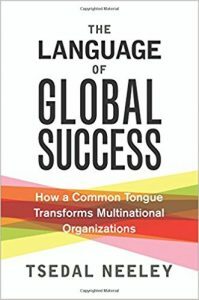 The Language of Global Success, How a Common Tongue Transforms Multinational Organizations, Tsedal Neeley, Princeton University Press, 2017.